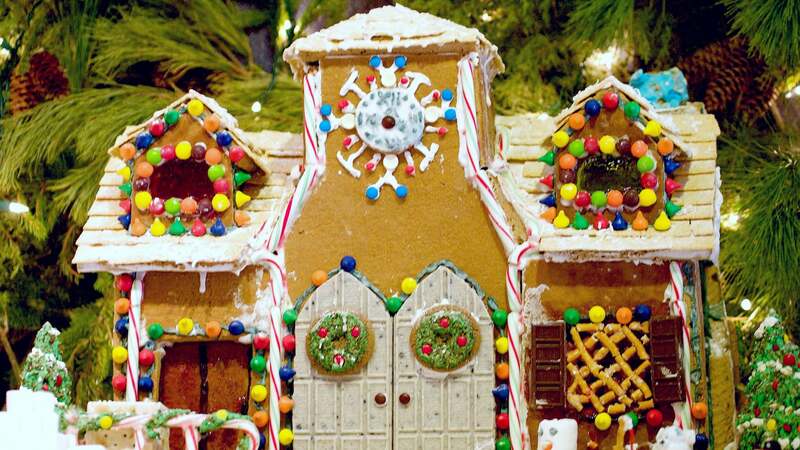 Building your ginger-scented walls around a mass of marshmallow confection gives them something to lean on while they're setting, with the support coming from inside the house. Just make a big batch of treats, mould them into a house shape while they're still warm - make sure to include roof support —and build the house around the sugary support structure. Once the house is dry, decorate as usual. You can also use the treats to make Christmas trees, little presents, or snowmen for your gingerbread yard, or you could just eat the excess.